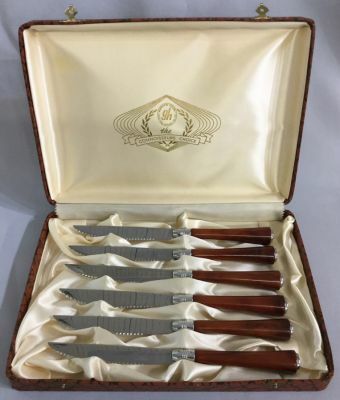 Glo-Hill Cutlery Co. Ltd. Steak knives. The knives are 8 1/2” long. $165 for the boxed set of 6.